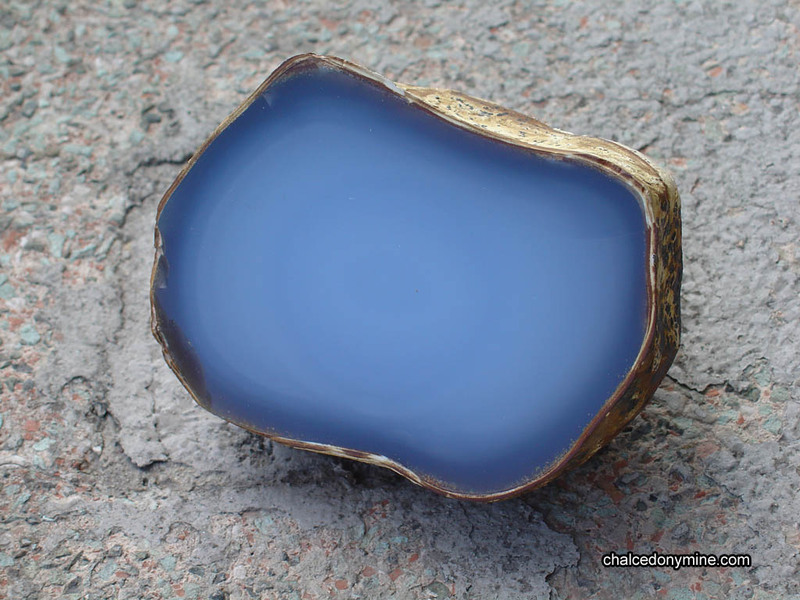 When you cut chalcedony by diamond saw you need take care about heat. Cutting process shouldn’t heat stone otherwise heat changes crystals optical properties. You may use water or similar cooling liquids while cutting stone.